VANCOUVER — Be a scorer. Be a facilitator. Be a lock-down defender. Accepting the task of wearing those three hats on the basketball court at the same time starts you on the road to becoming a complete player. 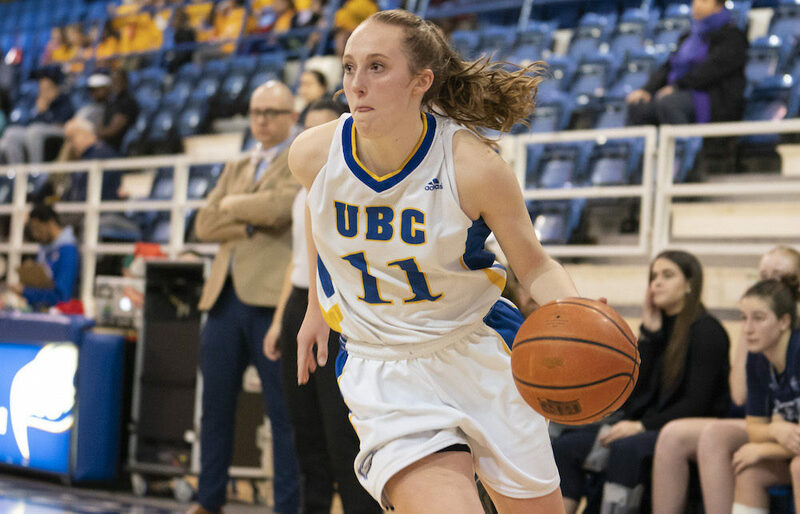 Embracing those tasks, however, with the aplomb and surety with which UBC Thunderbirds’ guard Jessica Hanson has in this, her fourth U Sports’ campaign, ultimately defines one. And that’s why on Saturday (2 p.m.), when the ‘Birds play host to the Winnipeg Wesmen in a winner-take-all, single-game Canada West post-season play-in clash at War Memorial Gymnasium, Hanson will be entrusted to put forward the same kind of multi-pronged, efficiency-laden effort that has come to define her place this season on a young-and-rising UBC team. Hanson, over this season above all others, has shown herself to be more qualified than ever to affect the team’s positive growth. And nowhere is that more apparent than in the layer of efficiency she has added to her play-making resume. In fact it’s the area of her game which has taken the boldest step forward yet. If you let the numbers do the talking, it’s hard to ignore the way that Hanson, the 5-foot-9 guard, has made a dynamic breakthrough in her game this season. While her assist-to-turnover ratio of 2.3-to-1 is both for tied fifth-best in the nation and first in Canada West (92 assist, 40 turnovers,), her sheer number of minutes played (637), the one variable which puts the sternest test on efficiency, is easily the highest, varying from 77 to 573 minutes more than anyone in her neighbourhood. 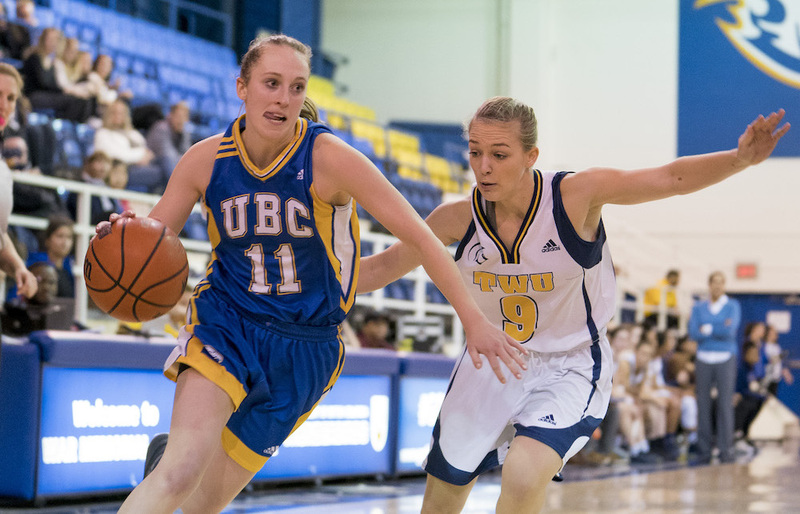 It’s essential to note that Hanson, over her three prior UBC seasons, had finished with more turnovers than assists, including 62 assists last season versus 67 turnovers. All of that in concert with her 11.3 points-per-game scoring average and her position as the team’s top perimetre defender makes her one of the conference’s most essential if not unsung players. With all of that said, Huband appreciates the way Hanson had maintained equilibrium as the vastness of each of her portfolios has grown. As it pertains to the latter, Hanson doesn’t take a break on defence by guarding lesser foes. In fact if you re-visit what Huband told your faithful scribe during his days at The Province newspaper back in February of 2015, as Hanson was nearing the end of her high school career at Vancouver’s Little Flower Academy, you could say the coach had a pretty good read on the future of her prize recruit. Yet when you ask Hanson herself about the abundant growth her game has shown this season, she stays true to her consummate team-self. “I think it’s just growing as a team and getting to know each other more,” she says. “I’ve also grown my own basketball experience. I’ve gotten stronger, faster mentally and faster physically. And part-and-parcel of that process is the leadership component, a mantle of responsibility which Hanson now wears with an added layer of confidence. “It’s definitely been a learning experience for me,” she says. “Over the past couple of years, we’ve all gone from being young together to maturing, and it’s been cool to see each other excel. Of course it’s pretty hard not to relate Hanson’s development in the game against that of the basketball family in which she has been raised. Dad Kevin, of course, is the head coach of the men’s basketball team at UBC. A North Delta native and a former UBC point guard, he still holds the Thunderbirds’ single-game assist record of 16 set in a road game at Calgary near the end of the 1986-87 season. Mom Theresa, the athletic director at Simon Fraser, is a former collegiate guard herself dating back to her days in Idaho at Lewis-Clark State, and she holds one of Warriors’ top all-time single-game scoring performances. As the former Theresa Hanlon, the Trail native scored 36 points in a game against the Gonzaga Bulldogs back in 1985-86. Jessica Hanson set her career collegiate high for assists when she collected 10 in a 95-72 win over Mt. Royal back on Dec. 1 of this season. 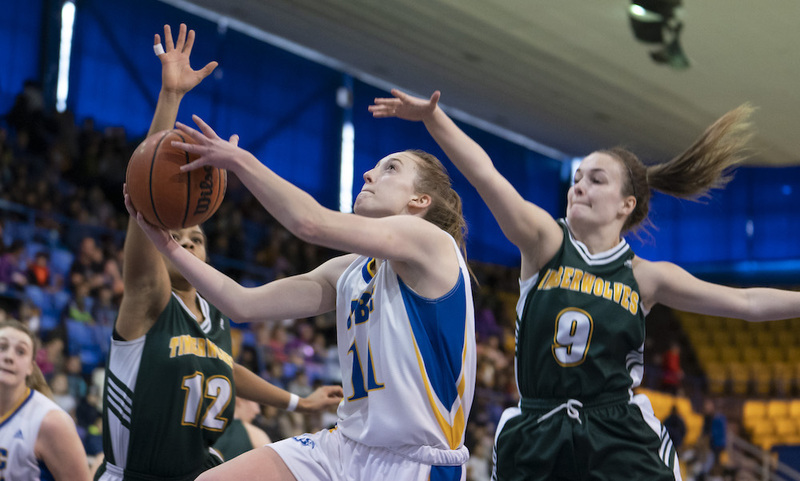 Her single-game points high came in the regular-season game of 2017-18 when she shot 60 per cent (6-of-10) from distance and collected 28 points in a 77-73 loss to Victoria. “I always joke with my dad that I’m trying to catch his record,” Hanson says of dishing 16 helpers in a game. Yet in the big picture, Jessica Hanson has become her own player by sporting the best parts of both her mom’s and dad’s respective games. Together, they have come to equal the rare skill of being able to provide her team with what it needs the most at any given moment.